#1 Kicking of the “Wide Whites” collection of pictures – this sled had a custom hub-cap, I think… that doubled as a secret agent weapon. #2 Custom Mercury with wide whites and ‘caps. 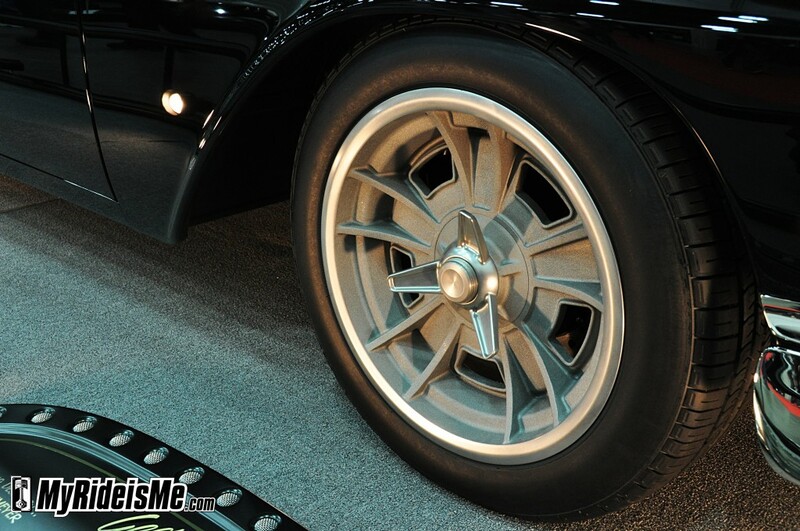 Can someone help me out with the name of these hubcaps? #3 This bright green hot rod pickup chose red steelies, mostly covered by a slick hubcap (custom center?) then covered’em with a white wall cheater slick. #4 Buick Riviera sport’n wide whites and Supreme’s. A classic, no doubt. This is the flat gold cruiser of Aaron Kirby of AtomicSketchbook.com. I hope to publish a feature on his art soon. 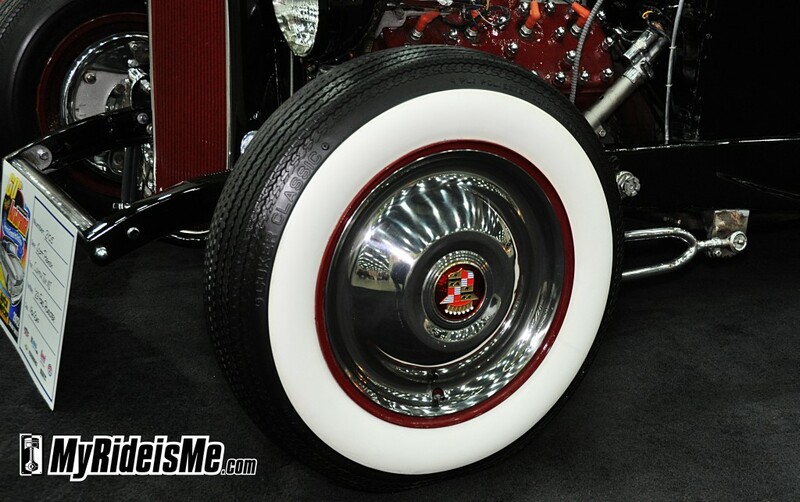 #5 &6 Take your choice… bias ply wide whites with the Cadillac hubcaps (on the flathead powered hot rod) or go with the driveability of radials and custom flipper cap? #7 Can you dig it!! This 1971 Camaro, owned by Dave Lesinger topped my, “Why the hell aren’t these cars Ridler Contenders” list. See that Shoulda Been Great 8 story here for a couple more pics. Or… stick around and dig the Bozeforged Lateral-G 20×12’s wrapped with Michelin Pilot Sport 335/30’s. 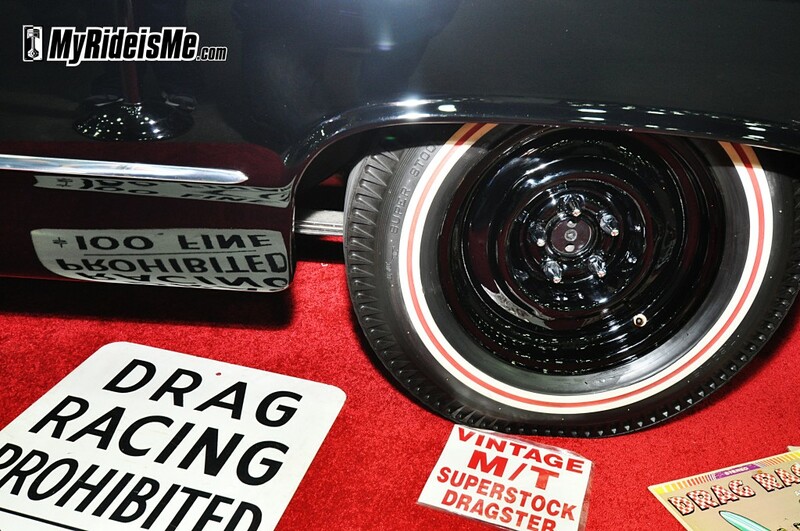 One of my favorite cars at the show and the customized wheels were a big part of the overall look. 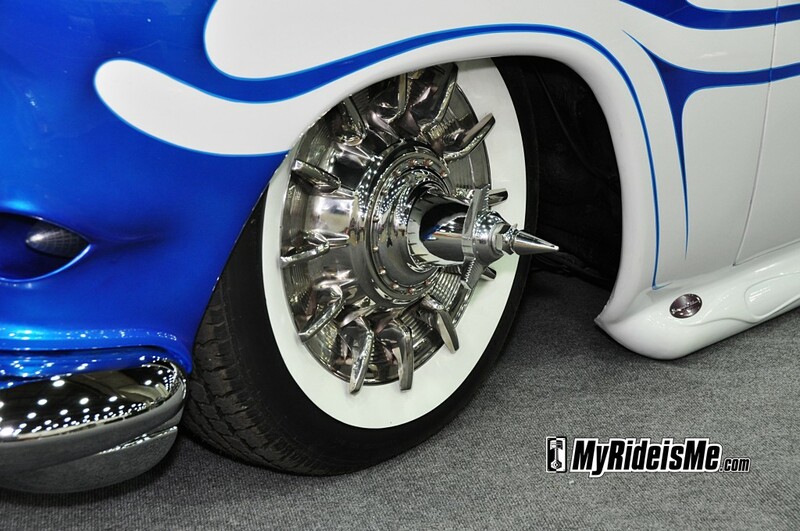 Looking closely, the wheels feature polished accents, satin silver center and lip with “SS” engraved and a blue Stripe, then custom engraved “Professor” logo on center caps. #8 Singular mission: Be lightweight for racing. But, Weld Racing runs with style too! These are the V-Series 1 piece fronts. They’re forged, of course and spindle mount. I’m curious Weld… what do they weigh? #9 With a quasi-modern take to a super classic redline look, this ultra well done GTO made my list. 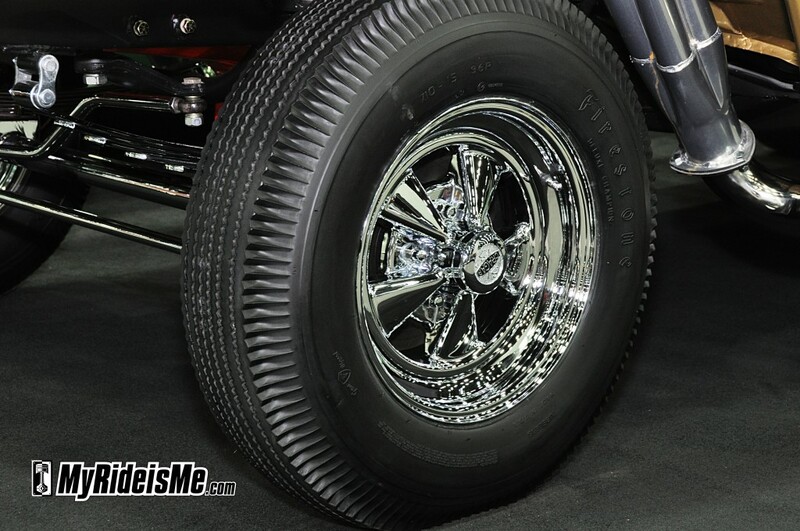 It’s tough to see in this pic, but in high res, you can read it… These wheels are from Boyd Coddington. #10 I should have interviewed the owner of this 1962 Chevy Impala called, “Last Date”. Everything about the car was custom and featured this brushed aluminum look. 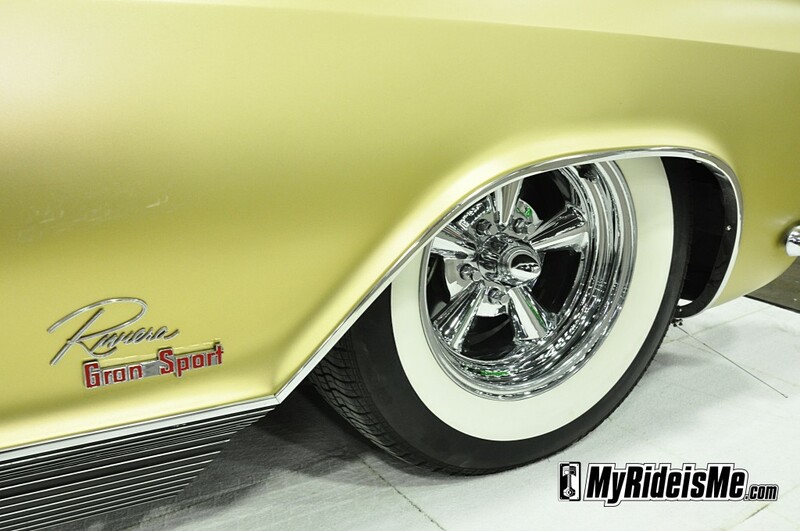 Ultra smooth… We’ll never know why this car wasn’t a Ridler Contender either. I guess I could have sliced this category up more, but you’ll get the idea. 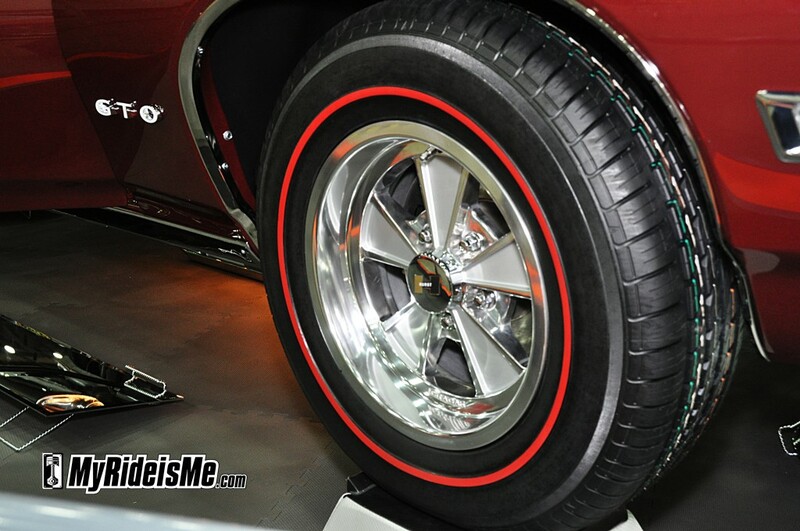 These are the redlines and go-fast looking wheels that say, “Don’t mess around” when they’re on your hot rod! #11 One of my faves! 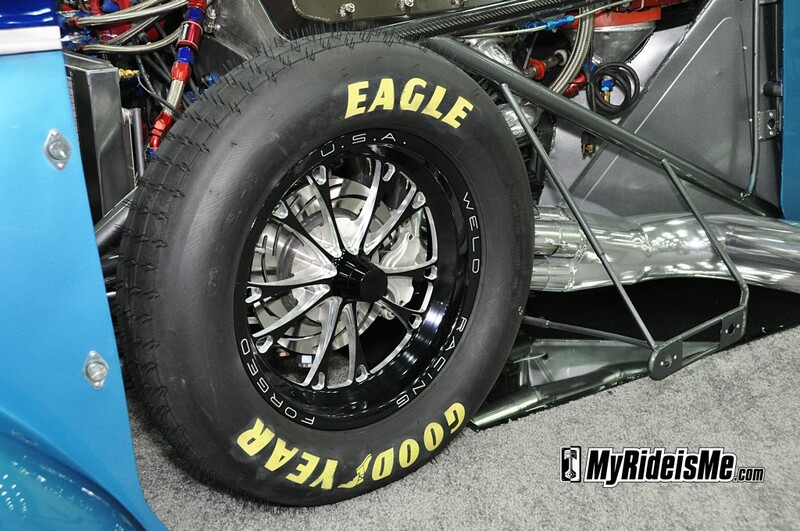 Looking closely, and confirmed by the sign, these are vintage Mickey Thompson Superstock Dragster tires. I don’t think I’ve seen a red stripe on white like that. 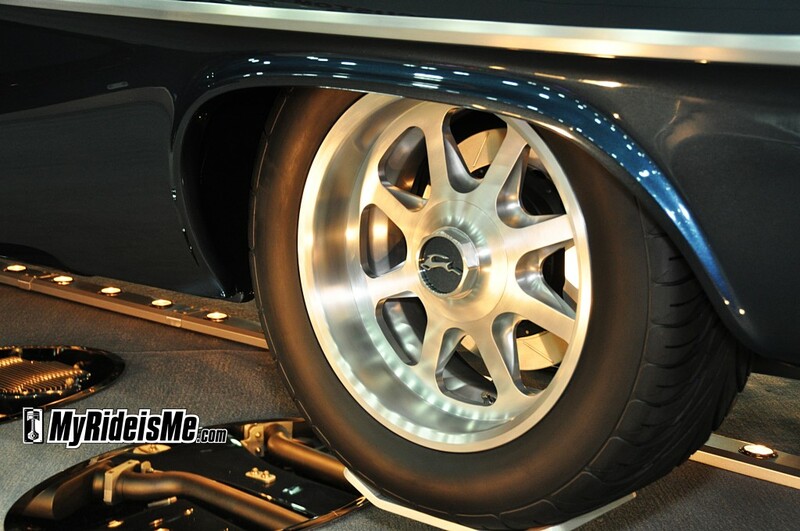 Mounted on the black steelies, this says no-nonsense racing for this 427 Powered 64 Mercury Marauder. #15 Gasser with skinny Cragars. A sure win. This was a gold colored 1955 Chevy with nose proudly held high. 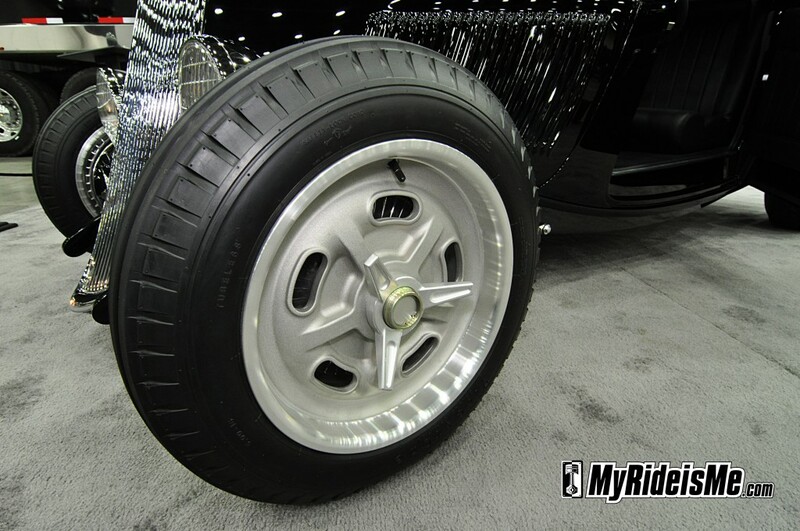 #16 So-Cal knock-off cast aluminum wheels with Firestone dirt trackers complete the “Tupper Tuxedo” owned by Ty & Linda Tupper. Friends from American Speed Company made sure I didn’t miss this subtle but near perfect example of a hot rod 33. #17 Finally, if you stuck around to the end, you’ll see what the fabulously creative mind of George Poteet can dream up for his Shoulda-Ridler’d (but it had already been shown) 1956 Chevy. 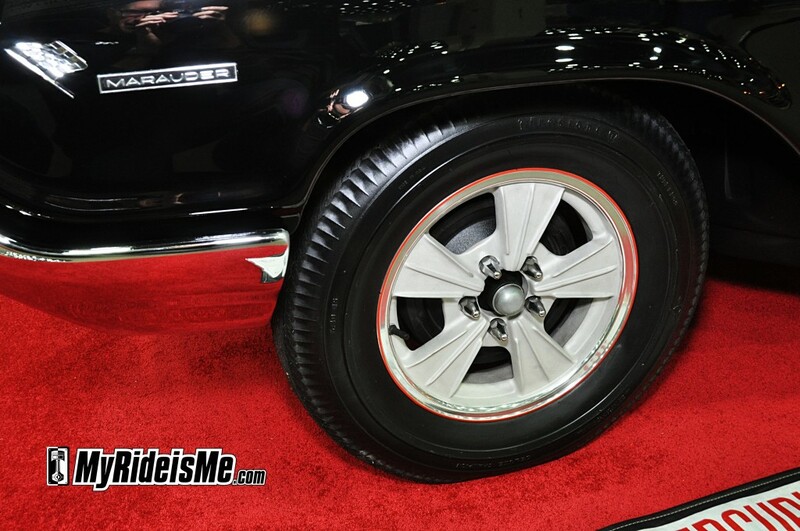 Think you’ve seen those wheels before? Nope. 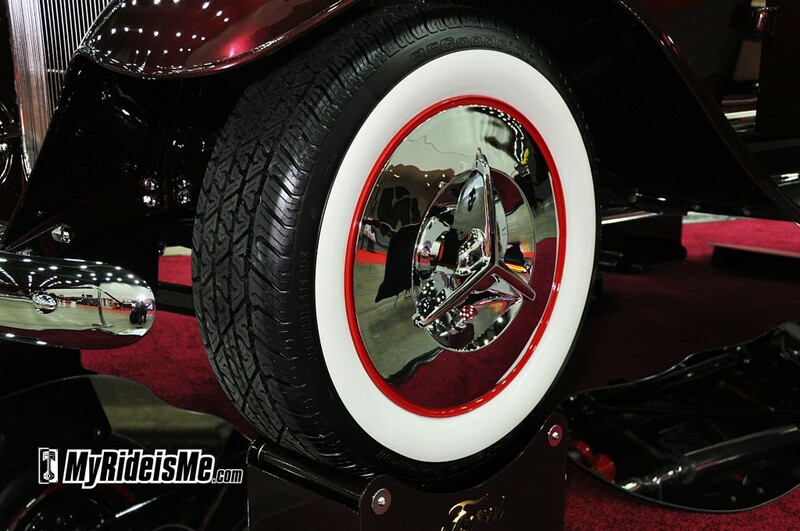 They’re custom made by Curtis Speed Wheels. 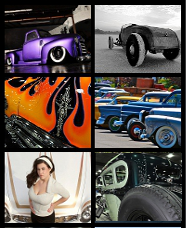 Mike Curtis is the guy who was the machinist on Boyd’s American Hot Rod TV show. 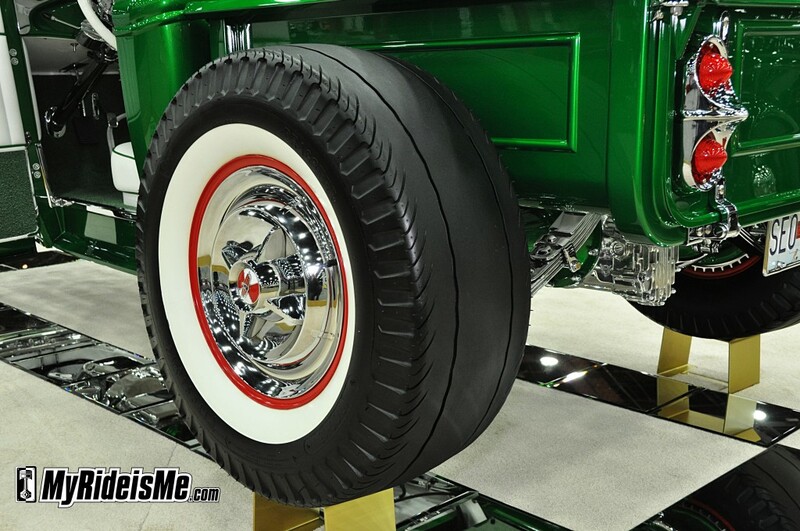 He also custom made the wheels for another Ridler-Contending 1967 Shelby (feature story coming). That’s it! 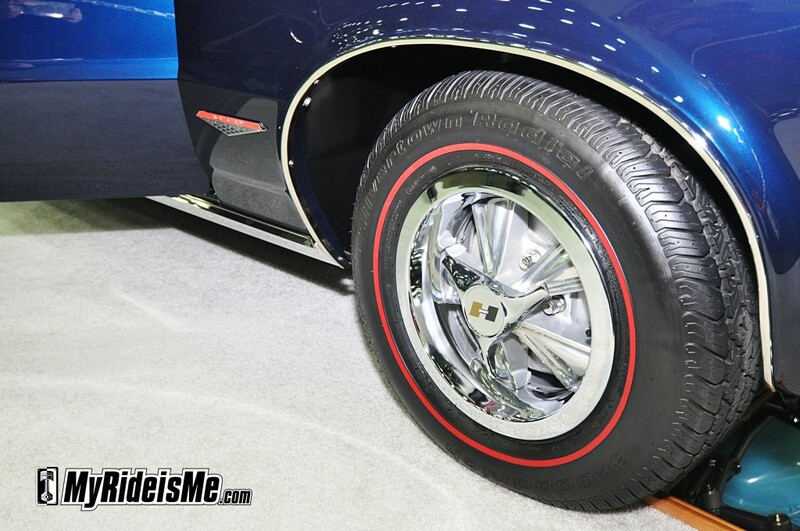 Which wheels and tires would you pick? 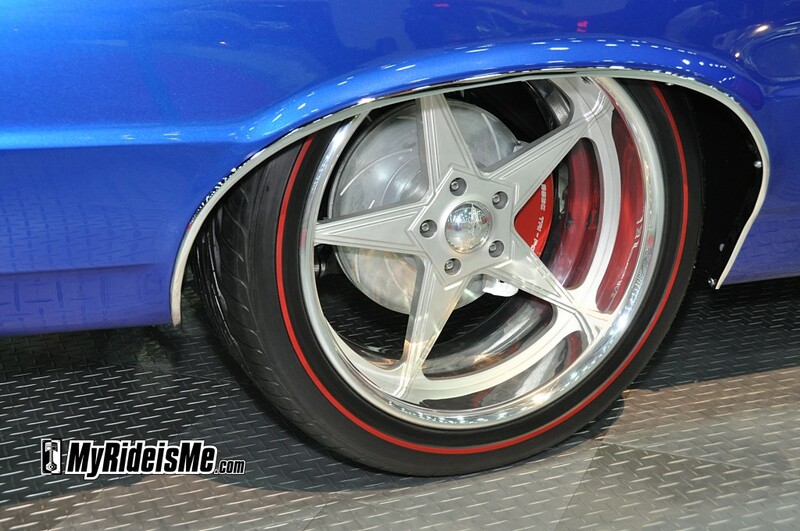 For all my coverage of the 2012 Detroit Autorama, click here. 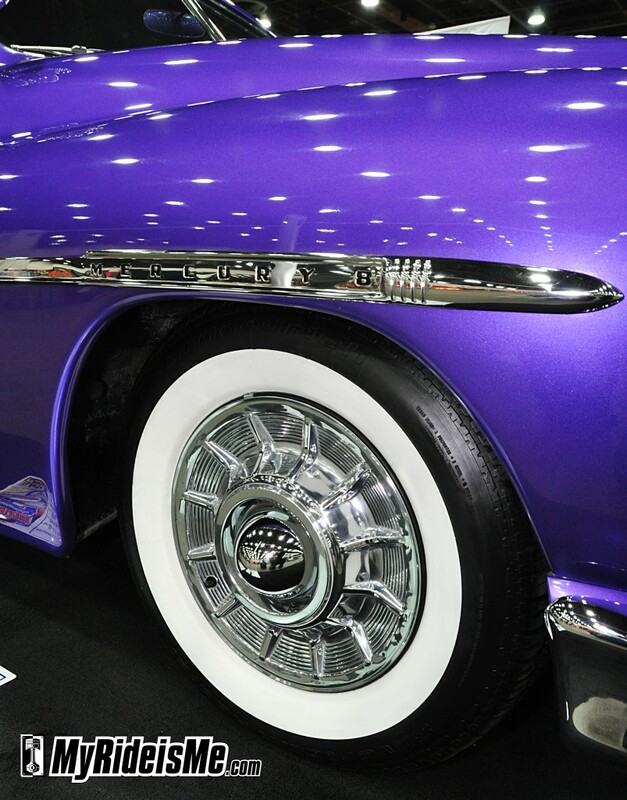 The first hubcaps are Cadillac, 1957 I’m fairly certain, and they’ve had a cone added to the center. The next photo of the T roadster pu has 1955-1956 (same both years) Dodge Lancers, bone stock except the red paint was blue from MoPar. And yeah, even the major magazines seldom know what added pieces came from. Years ago we all knew, but now most younger rodders won’t have a clue unless the publications tell them. And I guarantee there are plenty of old timers you can ask! There’s nothing wrong with not knowing IF you will simply ask like you did here! Proud of you, son!